This post is not intended to be a list of mobile game development frameworks. But, I will share my experience with a few game frameworks that I have used with more or less success. I’m not a game maker. I am however a programmer with an interest in creating games. I started looking around for the best and easiest way how to make a mobile games. Here are just a few of the options I found. There are basically 2 ways of doing things: making everything from scratch or using a game engine. In this post I will discuss using Ionic, libgdx and Unity 3D for making a game and how I got to using this for making mobile games. I am sure that a lot of you will only partially agree with my choice in this post since there are a lot of mobile game engines out there, each having pros and cons. Game Control – games are meant to be played by users. The game control aspect refers about how the user will interact with the game. Game Logic – This refers the rules of the game. Game Graphics – This is how the game transmits information to the user. Without graphics the user would be totally disconnected from the game. Once these 3 aspects are all covered, you need to start thinking about the technical side. Game development companies usually have different departments that handle different aspects of the game. But, if you are a game programmer like me, you probably want to make your own video game free and on your own. When making a game for mobiles you have to keep in mind that the user doesn’t have a keyboard. This means that the game control will be different from a game destined for a desktop or a console. Also, a mobile device has a display aspect ratio and resolutions while a desktop has different ones. Once you have a clear image about what the game control, logic and graphics will look like, you need to think about what you will use to implement your game. 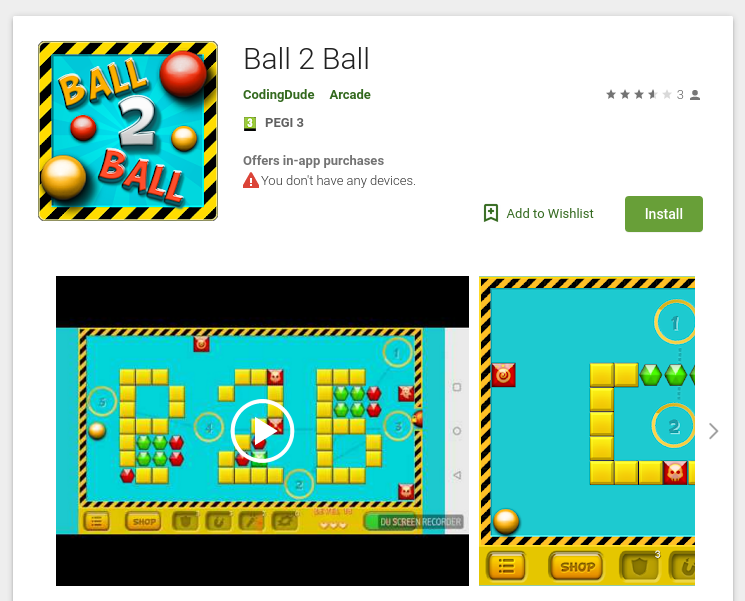 Introducing mobile game development frameworks. What are mobile game development frameworks? 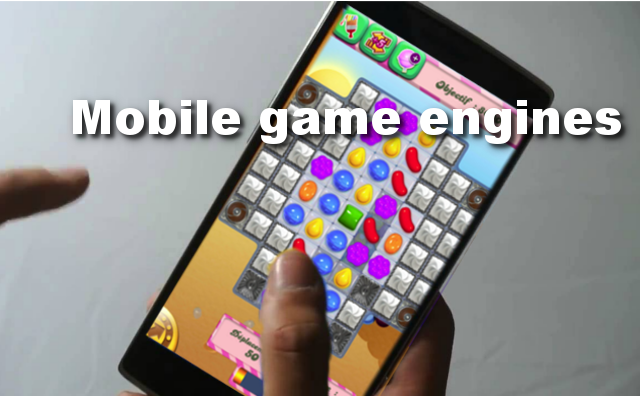 Mobile game development frameworks are sometimes called mobile game engines. They are pre-made libraries and tools that allow quick development of mobile games. They come packed with all the goodies necessary to take care of the 3 aspects mentioned above. You wouldn’t list Ionic among mobile game development frameworks. But, you can easily use it for game development. I like to use canvas for drawing and I’m pretty good at it. But, after a few attempts I decided that it’s really not the easy way to make your own games. Because you have to implement each and every aspect, like loading images, handling frames, etc. And that is not fun. So, I needed more from a mobile game development framework. I did not want to draw everything myself, so I though, why don’t I use a game library. Still being in the HTML5 and JS area, and of course wanting something free-to-use I found EaselJS. I found it very easy to snap into my Ionic project and everything seemed to be working in the browser. However, deploying it to a real device was a totally different story. Bottom line is that it didn’t work. This was because the Ionic framework is based on Cordova, and Cordova uses a WebView which is basically the default Android browser, so the browser you find under the name “Internet”. While this is a Chrome like browser it’s not actually Chrome and not all things will work on it. Specifically, the HTML5 canvas does not work well and therefore EaselJS did not work. With list of requirements I browsed through the list of potential options quite quickly. Feature wise I liked Unity very much, however it did not fill the bill, the other one that caught my eye was Libgdx. 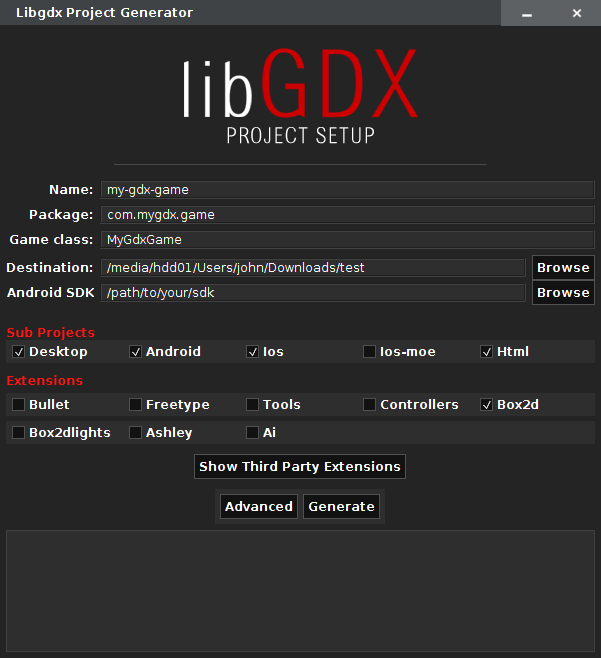 LibGDX is a Java based game engine. It is totally free to use and gives you the possibility of directly using the GPU. You can compile with it for Android, iOS and WebGL browser. All I needed to do was to learn how to use it. 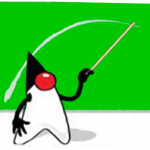 Run java -jar libgdx-setup.jar This is a tool that will take care of setting up a project for your game. Press save in the Advanced settings and then press the Generate button. This tool will download and configure all required components for the game project. Once it finishes you can follow the instruction on how to import the created project into the designated IDE. 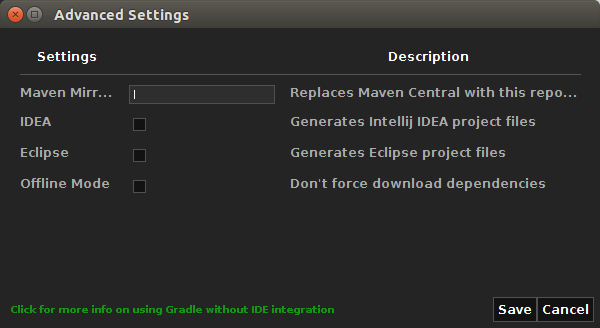 I used Gradle project import in Eclipse. You will now have a project setup with everything needed to create your game. The project has 4 subproject: core, desktop, android and ios. You can develop you app and run it on the desktop and it will work the same on your mobile devices. To run the app on desktop just right click on the desktop project and choose Run as Java application (if you are in Eclipse). Then, as the main class choose DesktopLauncher. You will see the default app which consists of the BadLogic logo displayed on a red background. When it comes to mobile game development frameworks Unity 3D has recently become my favourite. It’s free, highly portable, and offers a visual tool that requires almost no programming skills. Wait, what? 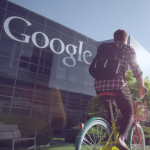 No programming skills? Unity 3D has an IDE that allows you to create your own game visually. A drag and drop here and there and done. Using Unity 3D as a mobile game development framework you can make a simple game in less than an hour. You think that cannot be? Check out the Ludum Dare and see what game programmers create on their own in 48 hours. The complexity of the games is really amazing. Keep in mind that most of the games are made by one programmer only and includes the game and the graphics. Unity 3D has some pretty awesome features that come out-of-the-box. Besides the ability to work with graphics in Photoshop format, what I especially love is the market place. The Unity 3D market place offers both free and commercial assets. And there are a lot of them. I hope you enjoyed this quick overview of mobile game development frameworks and if you have any questions related to Ionic, LibGDX, Unity 3D or making mobile games please drop me a comment in the comments area.